Every night, Daddy tucks his child into bed and sings the same song: a song that says no matter what happens, even if the whole world turns upside down, Daddy will always love you. 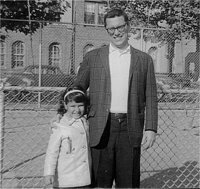 When I was a little girl, my father used to tuck me in and tell me funny stories before I fell asleep. 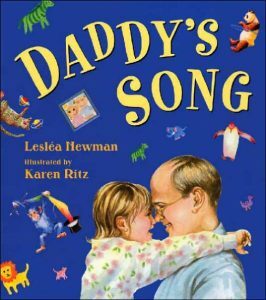 I wrote Daddy’s Song so that daddies everywhere would have a fun book to read to their children at bedtime.